When the weather is dull and rainy, I often like to reflect on dreamy trips I've had abroad (and come up with ideas for the next adventure). My last trip abroad involved 5 days in the beautiful island of Venice for my honeymoon. It was warm, the scenery was beautiful, and don't get me started on the apartment we stayed in! It was probably one of the cutest Airbnb finds we've come across so far - so much so that I did a dedicated blog post on it as soon as we came home. 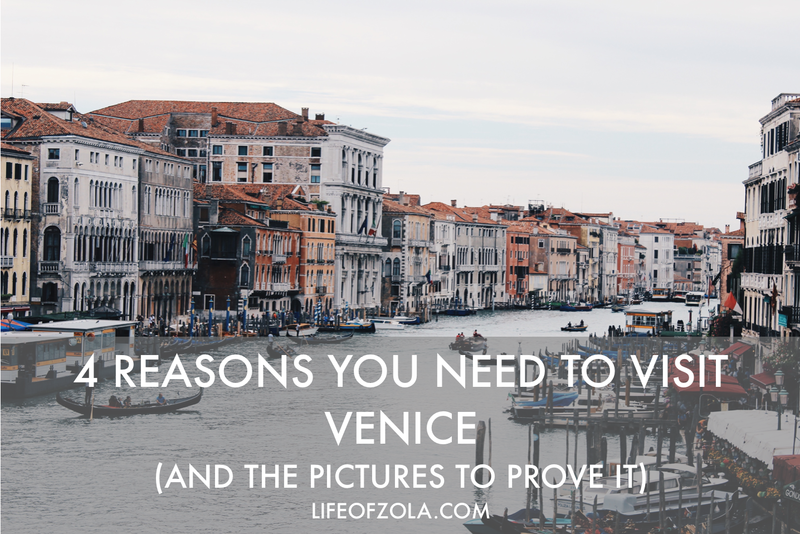 Whether you're thinking about going to Venice or you just want to know what to expect, here are 5 reasons why you should visit this magical destination. I don't think we can talk about Venice without mentioning the words 'ice cream' and 'pizza'. The Venetians don't play around when it comes to their ice cream, so you're guaranteed to find a gelato store on most corners. Each store has a wide variety of wonderful options, each packed full of flavour. Foot is the main way of getting around the island, so we found a trip to the gelato store really hit the spot after a long day of walking and exploring! If you're looking for an authentic meal experience, I'd highly recommend asking locals to point out their favourite food spots. The best (and cheapest) pizza, pasta and coffee we had during our stay had been suggested to us by our Airbnb hosts. 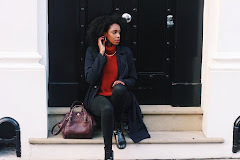 The places they recommended weren't the most obvious choices as they usually were away from the tourist buzz, but they were definitely the best! If you're looking to try some amazing and affordable pasta in particular, I highly recommend hitting Dal Moro's. Everything there is made fresh-to-go... and it tastes divine! If you love architecture and history, you will love Venice. Even if that's not you're thing, it's impossible to pay a visit and not be blown away by the culture that surrounds you. Whether it's the numerous churches, the ruins, or the canal side buildings, it's very clear that Venice has it's own strong identity. Saint Mark's Basilica in particular is absolutely breathtaking. We decided to wake up at sunrise in order to beat the crowds for early access - something we really appreciated after watching large groups of people arriving hours later! All I'll say is that pictures truly don't do this iconic cathedral any justice, so I would definitely put this on the must-see list. The versatility of Venice makes it a really great place to visit alone or with others, as there's something for everyone. If you grow bored of the city sites, the Island of Lido is just a 15 minute boat trip away from San Marco, and has it's own beautiful sandy beach. Alternatively, there are plenty of islands you can visit with their own unique characteristics and culture - Murano and Burano are two great ones! We made sure we left a day to go island hopping - it was so much fun. Have you been to Venice, or are you hoping to visit this gorgeous place anytime soon?